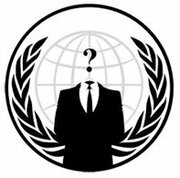 An Open Letter to PayPal from Anonymous Hackers ! the organization raising funds for legal support of U.S. Army Pfc. Bradley Manning. a fair trial and freedom of speech. an extended time to rule on any violations of your terms of service is peculiar, at best. States Government's systematic abuse of first amendment rights. Please consider our requests. You and your subsequent actions can make the difference.